Parasite and crew capped off the night with a stunning upset. FaZe Clan went on a tremendous run last weekend at the Call of Duty World League Dallas Open—but they couldn’t carry that over into the start of the Northern Arena Showdown. Ground Zero swept Dillon “Attach” Price, Tommy “ZooMaa” Paparratto, Preston “Priest” Greiner, and James “Replays” Crowder on Saturday to send FaZe down to the losers bracket at this $30,000 tournament. Christopher “Parasite” Duarte, Rasim “Blazt” Ogresevic, Maurice “Fero” Henriquez, and Jeremy “StuDyy” Astacio opened the series with an impressive 250-134 victory on London Docks Hardpoint. It was a true team effort from Ground Zero, as every player contributed at least 22 kills. Ground Zero also took London Docks Search and Destroy 6-5 to extend their series lead to 2-0. Search and Destroy stars Fero and Blazt led the charge for Ground Zero, producing 10/8 and 8/8 scorelines respectively. 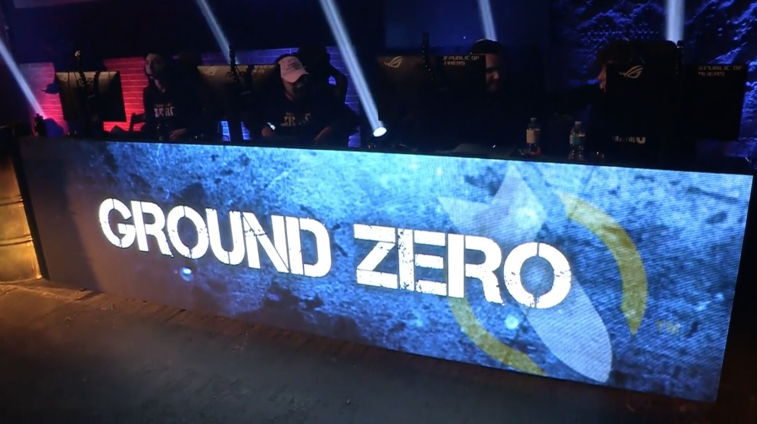 Fero sealed the deal in round 11 with a one-vs-two clutch to give Ground Zero the map win. Facing a 2-0 deficit, the series transitioned to Ardennes Forest Capture the Flag—which was statistically FaZe’s best game mode at CWL Dallas. But Ground Zero handed FaZe their first CTF loss on LAN in WWII with a 2-0 victory. With their series sweep of FaZe, Ground Zero will play against eUnited in the winners bracket semifinals on Sunday. FaZe, however, will fight for their tournament lives against Enigma6 in the losers bracket.